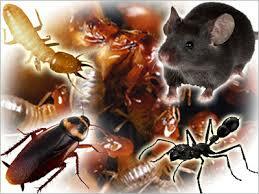 A pest is an animal which is detrimental to humans or human concerns. It is a loosely defined term, often overlapping with the related terms vermin, weeds, parasites and pathogens. In its broadest sense, a pest is a competitor of humanity. Often animals are derided as pests as they cause damage to agriculture by feeding on crops or parasitizing livestock such as codling moth on apples, or boll weevil on cotton. An animal could also be a pest when it causes damage to a wild ecosystem or carries germs within human habitats. Examples of these include those organisms which vector human disease, such as rats and fleas which carry the plague disease, mosquitoes which vector malaria, and ticks which carry Lyme disease. (for example, European rabbits introduced to Australia caused ecological damage beyond the scale they inflicted in their natural habitat). Many weeds (plant pests) are also seen as useful under certain conditions, for instance Patterson’s curse (Echium plantagineum) is often valued as food for honeybees and as a wildflower, even though it can poison livestock. The term “plant pest” has a very specific definition in terms of the International Plant Protection Convention and phytosanitary measures worldwide. A pest is any species, strain or biotype of plant, animal, or pathogenic agent injurious to plants or plant products (FAO, 1990; revised FAO, 1995; IPPC, 1997). Plants may be considered pests if an invasive species. Any prolific animal or plant may be considered pests. The greatest importance as pests (in the order of economic importance) are insects, mites, nematodes and gastropods. Vermin (or varmint or varmit) is a term applied to various animal species regarded as pests or nuisances and especially to those associated with the carrying of disease. Since the term is defined in relation to human activities, which species are included will vary from area to area and person to person. The term derives from the Latin vermis (worm), and was originally used for the worm-like larvae of certain insects, many of which infest foodstuffs. The term ‘varmint’ (and ‘vermint’) has been found in sources from ca. 1530-1540s. Varmint or varmit is an American-English colloquialism, particularly common to the American east and South-east within the nearby bordering states of the vast Appalachia region. The term describes farm pests which raid farms as opposed to infest farms—mainly predators such as foxes, weasels, and coyotes, sometimes even wolves or rarely, bears, but also, to a lesser degree, herbivores and burrowing animals that directly damage crops and land. Disease-carrying rodents and insects are the usual case, but the term is also applied to larger animals (especially small predators)typically because they consume resources which humans consider theirs, such as livestock and crops. Birds which eat cereal crops and fruit are an example. Pigeons, which have been widely introduced in urban environments, are sometimes considered vermin. Some varieties of snakes and arachnids may also be referred to as vermin. Species can develop into vermin if introduced into regions where they find favorable living conditions, and if they face few or no natural enemies there. In such cases, humans often choose to fill the role of the predator to limit the danger to the environment. A prime example of vermin is goats on the Galápagos Islands. Rats, mice, and cockroaches are common urban and suburban vermin. Cats, introduced to countries such as Australia, have killed more indigenous wildlife than any other introduced animal, to the extent that they have been implicated in the extinction of many small mammals and amphibians. i. Rabbits, rats, mites and such other animals as may be declared to be pests of national importance. b. Pests of local importance in respect of a specified district, being such animals as may be declared to be pests of local importance in respect of the district by the Government by satisfied that there is evidence that the animal is having or is likely to have a significant effect on agricultural production. The pests of the world’s crops may be classified according to their wideness of distribution and severity of damage inflicted, or according to the type of agricultural product they attack, or according to the type of damage they inflict. Thus we may speak of First Class and Second Class Pests; or we may speak of General Pests, Fruit Tree Pests, Truck Crop Pests, and so on; or again we may speak of Cutworms, Moth Borers, and so on. In the career of an insect pest certain phases occur. In the first place, it may have the status merely of a local insect and not that of an economically important species, and may enter, probably unobserved, a new territory (locust form). Immediately, the insect may find itself in a new environment, and consequently, even if its numbers do not suffer a severe check, its progress is necessarily slow. Later, its numbers begin to increase unduly, owing possibly to a lack or infrequence of natural enemies, and in about ten years time, or even less, it becomes noticeable in epidemic form. Should its habits be such as to annoy the community, it will be classed as a ‘Second Class Pest’, that is to say, a pest severe in its infestation but confined to a limited area. At this stage vigorous control measures will probably check the insect, but should the infested article be a commercial commodity with a wide distribution, the chances are that the insect will have spread extensively and become well established before detection, or before there is anything approaching a full realization of its economic significance. It will be, in fact, a ‘First Class Pest’, and its extermination cannot be hoped for; control measures in this case can aim only at limiting its spread and mitigating its ravages as far as possible. Gypsy moths attack hardwood trees. Among the crustaceans, some species of crabs from Geccarinidae and Potamonidae damage rice seedlings. Often they make holes on bands and disturb in supplying water of the crop fields. Some slugs are pests in both agriculture and gardens. Their significance is increasing drastically. Deroceras reticulatum is a worldwide distributed slug pest. Cernuella virgata, Theba pisana and Cochlicella spp. decrease quality of grains when harvested with the product in South Australia. Achatina fulica damages vegetables and ornamental plants in the Pacific region. Succinea costaricana damages ornamental plants in Costa Rica. Ovachlamys fulgens damages ornamental plants and orchids in Costa Rica. Other species considered to be pests include: Amphibulima patula dominicensis, Zachrysia provisoria and Bradybaena similaris. Pomacea canaliculata damages rice in Southeast Asia. Bulinus sp., Biomphalaria spp. and Oncomelania are intermediate hosts of schistosomes causing schistosomiasis. Various species in Lymnaeidae are intermediate hosts of fasciolosis. White-tailed deer are now seen as pests in many suburban and exurban areas of the US, though not in more rural areas. Eastern Grey Squirrel are seen as pests in Britain and Ireland because of the decline of Red Squirrel populations. Coyotes attack sheep, poultry farms and predate on them. Canada Goose; non-migratory birds of this species are now widely regarded as pests in the United States . Swamp birds can predate on fish of fish farm. For managing damage, a variety of control methods must be available since no single method is effective in every situation. Success usually involves an integrated approach, combining good husbandry practices with effective control methods for short periods of time. Regardless of the means used to stop damage, the focus should be on damage prevention and control rather than elimination of coyotes, foxes, jungle cats, fishing cats etc. It is neither wise nor practical to kill all these felids and canids. It is important to try to prevent them from killing calves or sheep or chicks for the first time. Once livestock has been killed, it will probably continue to do so if given the opportunity. Equally important is taking action as quickly as possible to stop them from killing after they start. Carrion Removal: Removal and proper disposal of dead sheep and cattle are important since livestock carcasses tend to attract many canids, habituating them to feed on livestock. Marshall, A.J. and Williams, W.D. 1972. Textbook of Zoology. Vol. I. Invertebrates. 6th Edition. The Macmillan Press LTD.
Shukla, G.S. and Upadhay, V.B. 2008. Economic Zoology. 4th Edition. Rastogi Publications, Meerut. Hickman, C.P., Roberts, L.S. abd Larson, A. 2001. Integrated Principles of Zoology. 11th edition. McGraw-Hill Co. Inc., New York. USA.